Ruth E. Kauffman passed away quietly on Monday November 12, 2018 at Invigorate Healthcare of Whitefish previously Whitefish Care & Rehab Center. 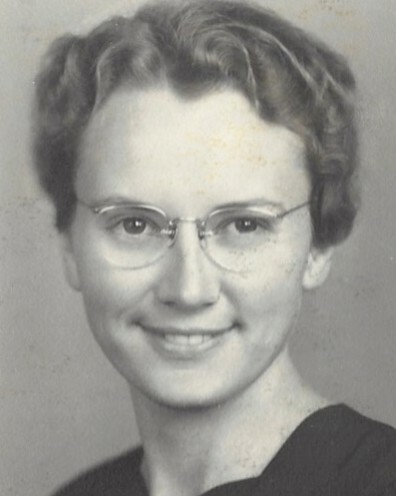 Ruth was born July 18, 1921 in Lititz, PA to Benjamin S and Anna O. Eberly, the 8th of 10 children. She grew up in Lancaster County, PA but finished high school at Eastern Mennonite High School in Harrisonburg, VA. Ruth continued her education at Eastern Mennonite College (now University) graduating with a BS in Nursing. While at college, Ruth met her husband David “Doc” Kauffman of Creston, MT and they married in 1950. Ruth taught nursing at Hahnemann Medical College in Philadelphia, PA while her husband finished medical school. Ruth and Doc briefly resided in Spokane, WA before moving to Whitefish in 1959. Ruth’s life was built around her family, faith and community and she worked tirelessly to support her family’s endeavors throughout her life. While she would define herself as a “house Mom” it was one of many roles she took on with enthusiasm. She supported her children as an active PTA member, a Scout leader, President of the Band Boosters and helped with more than one last minute creative writing assignment. Ruth was never far from nursing and supported the local medical community as a founding member of the Sunshine Ladies at North Valley Hospital and served two terms as president of the North Valley Hospital Auxiliary. After her kids were grown, she returned to nursing, working with her husband in his medical practice. Ruth was not one to sit still. She was very active in her church, the community World Day of Prayer, the Women of the Moose, the Head Start Program and helped at the community food bank. She loved to garden, was a talented seamstress and an excellent shot who enjoyed hunting with her husband. In 2002, Ruth had the honor of serving as the First Lady of Whitefish. Music was a constant and important part of Ruth’s life. She played the violin in high school and piano throughout her life. She was an organizing member of the Treb-L-Aires, a dedicated supporter of Community Concerts, a member of the Flathead Community Choir well into her 80’s, and an Alpine Ringer for many years. She is preceded in death by her husband Dr. David “Doc” V. Kauffman, her parents Benjamin and Anna Eberly, 1 brother and 8 sisters all from Pennsylvania. She is survived by her 4 children; David Kauffman (Anita), Whitefish MT; Stephen Kauffman, Yakima WA; Elizabeth Kauffman-Harmon (Stephen), Wasilla AK; Rebecca Kauffman-Piotrowski (David), Bend OR, and 6 grandchildren; Britta Kauffman and Brice Kauffman of Seattle WA; Justin Kauffman, Travis Kauffman, Darren Kauffman and Ashley Kauffman of Whitefish MT.